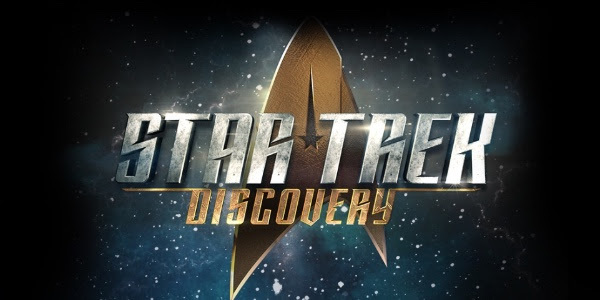 Over this latest weekend, CBS released a new Star Trek Discovery trailer, the next televised series bearing the Star Trek name in over a decade. Much on this upcoming Fall series was revealed, while raising new questions. 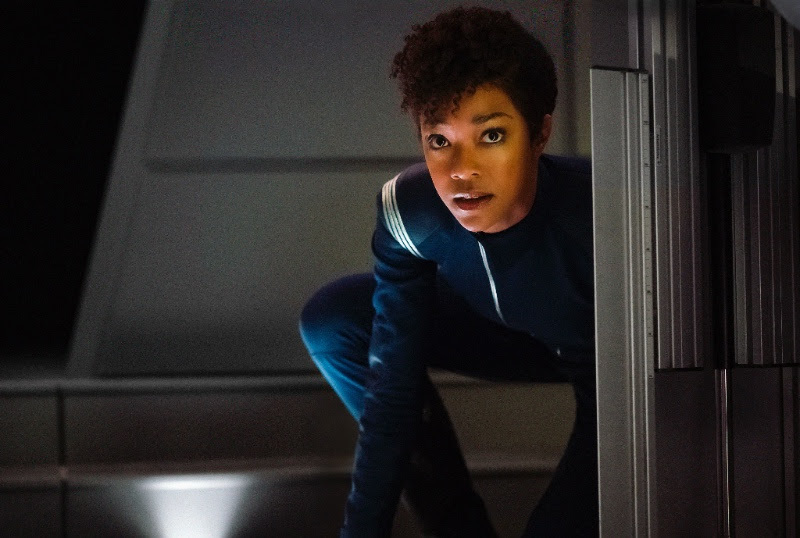 First Officer Michael Burnham (played by Sonequa Martin-Green) is Spock’s half-sister, with Sarek as her surrogate father. She was raised by her mother Amanda. The canonical reason Spock not mentioning her is unclear, but Executive Producer Alex Kurtzman said during the panel that they are aware, and such will be addressed with in time. Ambassador Sarek (played by James Fruin) will be explored as a character further since his introduction in the classic series, as we find him younger and learning about emotions. He is also a mentor to Officer Burnham. Saru (played by Doug Jones), is a Kelpien, a tall alien with hooves for feet. The Klingons are back, but with the obvious difference in their appearance and presentation. Little is known towards why, other than the promised expansion of their culture and heritage, and not as repeat villains. Little is known about Lt. Stamets (played by Anthony Rapp), other than he will have a male love interest and partner; which will make him the first openly gay character with a lead crew role in Star Trek history. 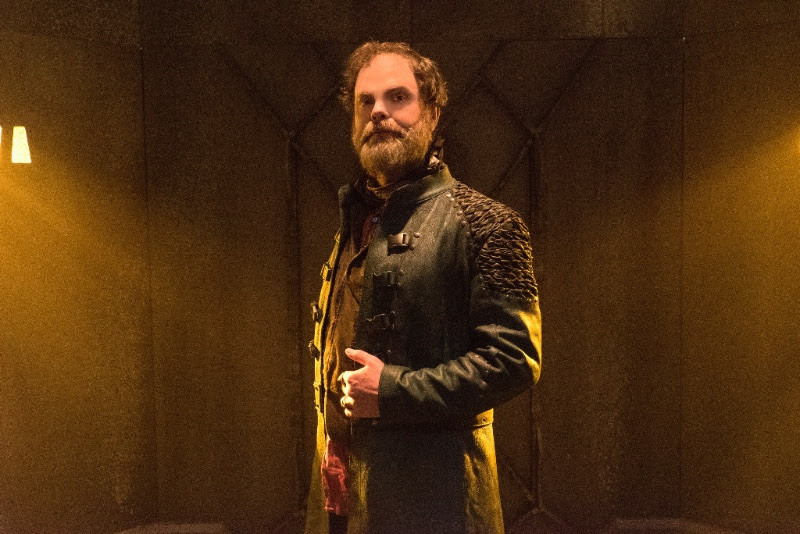 Not much is known about Ct. Lorca (played by Jason Isaacs), other than he is different in character from past starring captains of the Star Trek franchise. The creators announced Jeff Russo (FX’s Fargo, Extant, The Night Of, Legion) as the new composer on Star Trek: Discovery. Star Trek: Discovery will première in the U.S. on CBS All Access (CBS digital subscription and streaming service) Sunday, Sept. 24. A broadcast première will follow on the CBS Television Network. The series will also be distributed on Netflix in 188 Countries. The first season will run for 15 episodes, with the first eight initially running from the première date until November 5th. The second half will resume in January 2018.